Nestled in the Kingsborough community, just before the cul-de-sac, this completely updated home is move-in ready! Mature foliage out front guides you to the deep red door of your front entrance. Your open kitchen features sleek black appliances, vinyl wood flooring, a pantry for extra storage, and backyard access. All bathrooms are updated, featuring tasteful shower tile and brushed accents. Newer central A/C, carpet, paint, refrigerator, countertops and lighting features are found throughout. The covered deck overlooks the backyard. Your sizable lawn is encircled with a privacy fence, has gardening beds, and a utility shed, great for stowing away extras. Inclusion of the solar panels makes running the air conditioning on those hot summer days cost you nothing on your electricity bill. Newer exterior paint, roof and driveway. 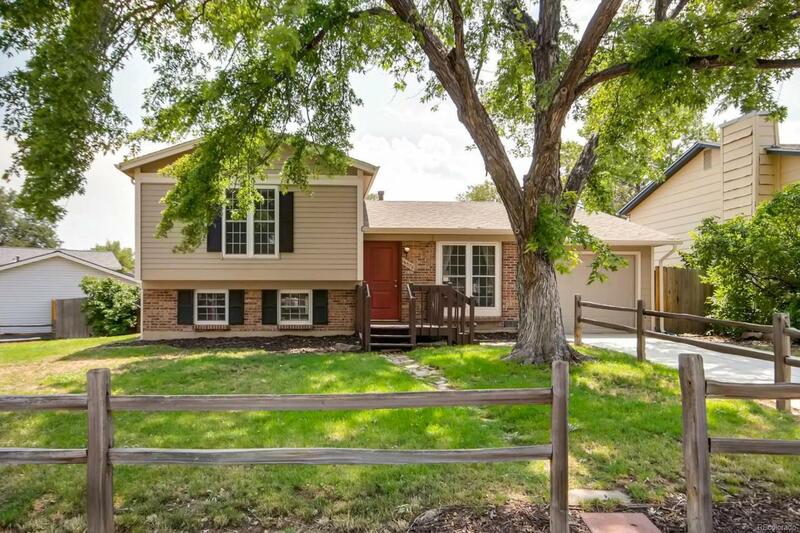 Tucked away near Horseshoe Park, several trails, and with easy quick access to I-225, this home is conveniently located. Move quick before this one gets away!